f you’re looking for a right tool to rip Blu-rays to a common file that contains the AC3 5.1 surround or stereo right audio tracks, you are in the right place. With luck, this guide will describe an extremely basic method of decrypting Blu-ray discs and rip Blu-ray to various video formats with the audio tracks you want. Blu-ray may be the best quality movie format available ever, but it also carries with copy protections, which limits you to play it only on your PC, or BD player provided the region code matches. So, a Blu-ray ripper which can both easily bypass copy protection, and rip Blu-ray to common video with free audio track selections is what you need. 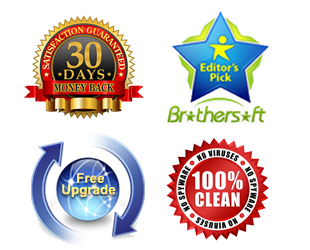 Blu-ray Ripper, a top rated tool, is recommended here for you with its fast-speed ripping and free switchover of subtitles and audio tracks. 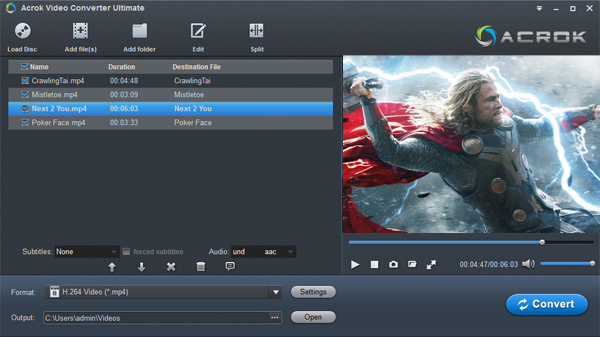 Applying this Blu-ray ripping tool, you can rip Blu-rays to virtually any video format MP4, MOV, AVI, MKV, WMV, etc. As recently Dolby TrueHD codec had been added to the app, you can access any of the audio tracks in Blu-ray discs easily. Meanwhile, you can use this app to make 1:1 copy of your Blu-ray movies from physical discs to hard drive and prevent from scratches or other damages. If you’re running on Mac OS X, please turn to Mac Blu-ray ripping tool. Download the best Blu-ray Ripper and a step-by-step guide is displayed as below. Note that the guide below uses the Blu-ray converter Windows version screenshots. The way to finish your task on Mac is almost the same. Just make sure you’ve downloaded the right version according to your needs. Insert the desired Blu-ray disc and aunch the program. Click Load button to import Blu-ray movies from disc. P.S. You can load DVD in the same way for the ripper is able to copy with DVDs. As you know, one Blu-ray disc usually comes with multiple audio tracks and subtitles. Right under the file list, you can find Subtitle and Audio option. If you want to get an audio track you want, just select from the Audio option. Click “Format” bar and select the output video format you like. You can either choose MKV, MP4, MOV, AVI, WMV, etc. as the output format or select the icon of a device to get videos with optimized settings for a certain device like iPhone, iPad, iPod, Samsung Galaxy Tab, PS3, etc. Simply click the Convert button to start the Blu-ray ripping process with the audio stream you like. When the conversion is shown in 100%, you can click “Open” to get the ripped files and just enjoy your movies.